The summer of disruption starts here: Jupiter and Uranus team up! Thursday 15th April, 6.50 am, Glasgow, Scotland, UK. I am lying in bed, groggy with sleep. Our suitcases are packed. 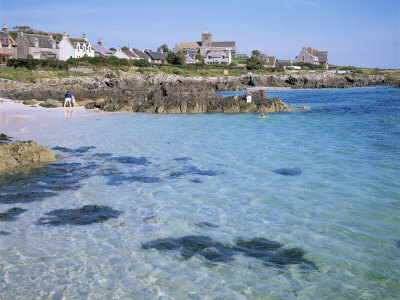 The flight for Exeter airport, Devon, UK leaves at 10.30 am. We are due to leave the house for Glasgow airport at 8.45 am. Plenty of time for a cup of tea in bed, gratefully received from my husband, Ian. “I have some interesting news for you”, he says, exuding Aquarian calm and detachment. Friday 16th April,11.50 am, Glasgow, Scotland, UK. As I write today, all UK airports are closed except for very few flights going to places the ash has passed over – eg the Outer Hebrides off Scotland, Northern Ireland, and Canada. There is chaos and disruption spreading across the world: Heathrow airport, London and Glasgow airport, Scotland are two major UK hubs for international flight transits. We do not know how long the volcano will continue to spew out fiery molten rock and ash from hundreds of feet below a glacier in Iceland, which has been hurling amongst other things, “blocks of ice as big as houses”. Hundreds of people from Iceland have been evacuated from their homes – flooding comes next, as the glacier melts. Explosions, fire and flood: Jupiter conjunct Uranus in Aries/Pisces, anyone? Astrologers are odd people. I had several simultaneous reactions yesterday as I lay in bed – sipping my tea, shocked, watching dramatic images of fire, belching lava, chaos…. Disappointment – for us, our relatives and friends whom we would now not be seeing for the short visit we had planned. Fellow feeling for thousands of stranded passengers and disrupted lives. Alarm at the thought of the economic fall-out which even a few days of this upheaval could inflict on already creaking world economies. But – awe at the raw power of Nature in putting us humans firmly in our place. And wonder: at the planets’ unfailing ability to mirror “as above, so below”. Any planetary energy pattern involving Uranus has as its signatures shock, disruption and most of all, unpredictability. New ground is broken (in this case, literally!). As a famous astrologer once observed: “If you can predict it, it isn’t Uranus….” Nevertheless, most of us can’t resist trying, at least in broad brush strokes! Other astrologers in magazines and across the Web will have made similar comments regarding the upheavals and turbulence politically, economically, socially and personally which we can expect from the unusual and highly dynamic energy pattern involving Jupiter, Uranus, Saturn and Pluto which is currently shaping up. 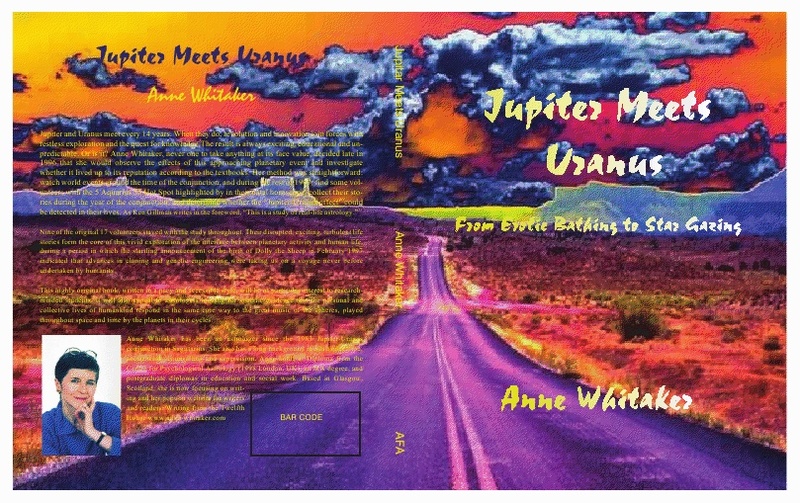 I am currently publishing a series of articles on the “Jupiter meets Uranus” website, as the first of three Jupiter/Uranus conjunctions, at 0 degrees Aries (8 June 2010), 28 deg 43’ Pisces (19 September 10) and 27 deg 02’ Pisces (4 January 2011) begins to form. Astrologers work with orbs, ie ranges of gradually increasing potency as planetary patterns approach exactitude. I decided to set a wide orb of 10 degrees for observing the effects of the upcoming Jupiter/Uranus conjunction in which I have a special interest, having written a research study of the 1997 conjunction in Aquarius – which, after a long series of unpredictable disruptions finally got published in April 2009! 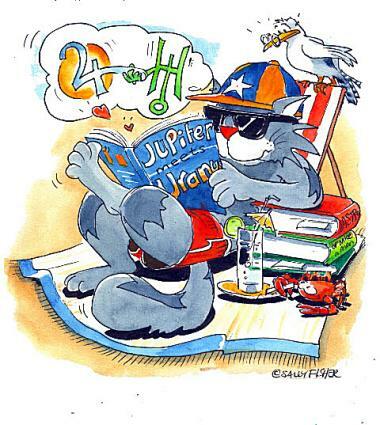 At the end of March 2010, Jupiter was at 17 deg Pisces, applying to Uranus at 27 deg. Pisces: just within my observational orb. In early April 2010 we had a severe earthquake in China. This week we have had the major Icelandic event with its attendant chaos. What next, as the conjunction edges its way to exactitude at 0 deg Aries, on 8th June 2010? What limits will we see breached in the coming year, on all fronts? backdrop to the upcoming Jupiter/Uranus conjunction, and reflecting on the 14-year Jupiter/Uranus cycle, with special emphasis on individuals whose horoscopes are ‘plugged in’ to the upcoming series of conjunctions and its attendant ‘big heavies’ – Saturn and Pluto. I have already had quite a number of volunteers contact me, prepared to tell me their stories as the observational year I have set unfolds (March 2010 to February 2011, after which the 10 degree orb fades out). So check out the site – and join in the excitement! On Thursday morning early, we thought we were going South to Devon, England, to visit relatives and sun ourselves in that old hippy haven, the historic and scenic town of Totnes. Just over 24 hours later, we are now heading up North to the sacred Isle of Iona, Scotland, on what may turn out to be a spiritual pilgrimage. A 180 degree change of direction, in more ways than one! Mars, planet of action and boldly-going, is 1.5 degrees of Cancer in my horoscope. Ian’s is almost exactly opposite, at 2.5 degrees of Capricorn. We are both firmly ‘plugged-in’ to the upcoming pattern. Maybe my next bulletin will be from Alpha Centauri. Watch this space…. This entry was posted in Astrology Article Archive 2 - Jupiter Meets Uranus 2010/11 and tagged American Federation of Astrologers, “Jupiter Meets Uranus”, Glasgow airport Scotland, Heathrow airpor, http://www.cainer.com/, Isle of Iona Scotland, Jupiter/Uranus conjunction 2010/11, Totnes Devon England, Volcanic Eruption Iceland April 2010 Volcanic Eruption Iceland April 2010. Bookmark the permalink. Great post! And – glad to hear you are NOT traveling. I’ve been warning about this period of time just before the Cardinal Crisis transits for some time, and now it is here. I strongly suggest that if you have any summer vacation plans to cancel them, and stick closer to home. The “spiritual pilgrimage” is better, closer to home, and to remain close to home. Uranus is too close to the fixed star Scheat, and Jupiter is quickly heading towards conjunction as well, and is now within orb. Both planets will hover over Scheat this year, and into next year, with Uranus hanging around longer in 2011-2012, so overall, extended travel is not favorable for some time to come I’m afraid. All the outer planets are powerfully activated, and we can expect more weather & climate disturbances, increased solar activity building to solar cycle #24, and of course, the seismic activity as well which has been ongoing throughout the world, and Ring of Fire. Remember, this is a good year to stay closer to home. I am expecting, and have forecasted accidents ranging from those in the air, and over water, to those on land, and especially – the high seas. This is not a favorable travel year whatsoever. ps I shall continue to follow your writings in this most interesting and challenging year for us all…. It’s a unfavorable time for the air line sector, however our thoughts – even if the photographs of the volcano are really remarkable – would need to be with the individuals stationed a long way from home.Many thanks for your write-up. great to have you drop by, and your appreciation. What a big reassurance for me anne, After a long wait to sell a home and move to a better climate and a smaller home alone,this time, NOTHING has gone to plan, money is seeping away in one hand and coming back in another by unexpected events. I was handling this situation as I know it will affect my pisces venus and moon when they conjunct at the end of pisces. I will add posts as things eventuate. I’m hanging in. welcome to the growing club of Jupiter/Uranus nervous nail-munchers! Astrological knowledge is indeed double-edged: but it is, I feel, more helpful than otherwise to have some advance warning of the fact that we are moving into and through a tempestuous energy field which will bring discomfort and disruption – but also open us up to possibilities for growth as yet unknown….good luck with it all, and keep us posted.